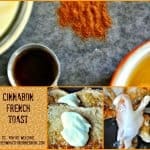 Cinnabon or Cinnamon French Toast? To me the scent of vanilla and cinnamon mingling happily means airports, traveling and Cinnabon, yum. 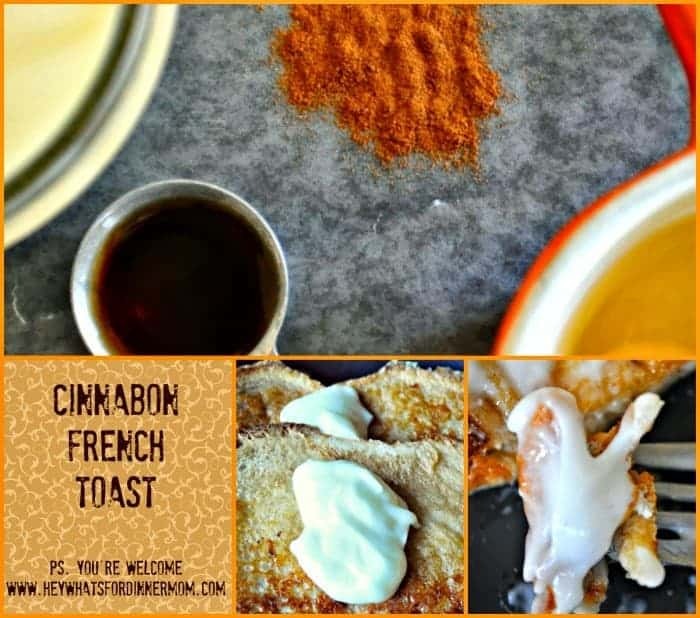 Now you can bring the delicious taste HOME to you with this easy little recipe for Cinnabon Inspired Cinnamon French Toast. We recently had a house full of boys over for a sleepover and those kids never stopped eating. They plowed through 5 pounds of pizza dough, 3 pounds of cheese, 2 pounds of pepperoni, 1 pound of salami, 1 pound of Italian sausage and shockingly .00002 pounds of precisely chopped vegetables. That they at so many vegetables is the shocking part, really. They ate an entire cake. Entire. Cake. 2 Gallons of lemonade and club soda. And that was all for dinner and up until bedtime. They slept and were then ready to eat again. I’d forgotten what boys are like, I’ve only been out of this stage with my oldest son for about 3 years and my how quickly I forgot. Well consider me reminded. 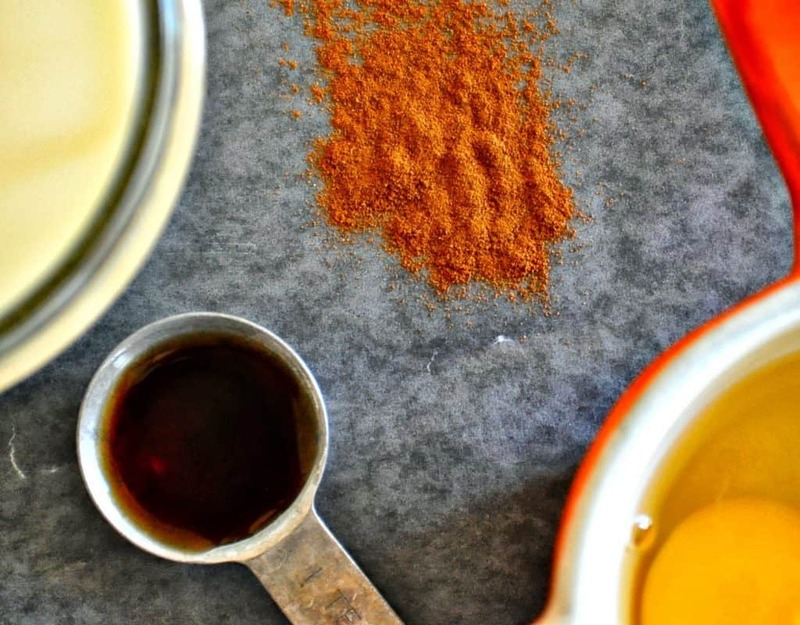 I was going to make pancakes for breakfast but realized I didn’t want to make that much batter and fussing with especially since French Toast is seen in much higher regards around here than pancakes. 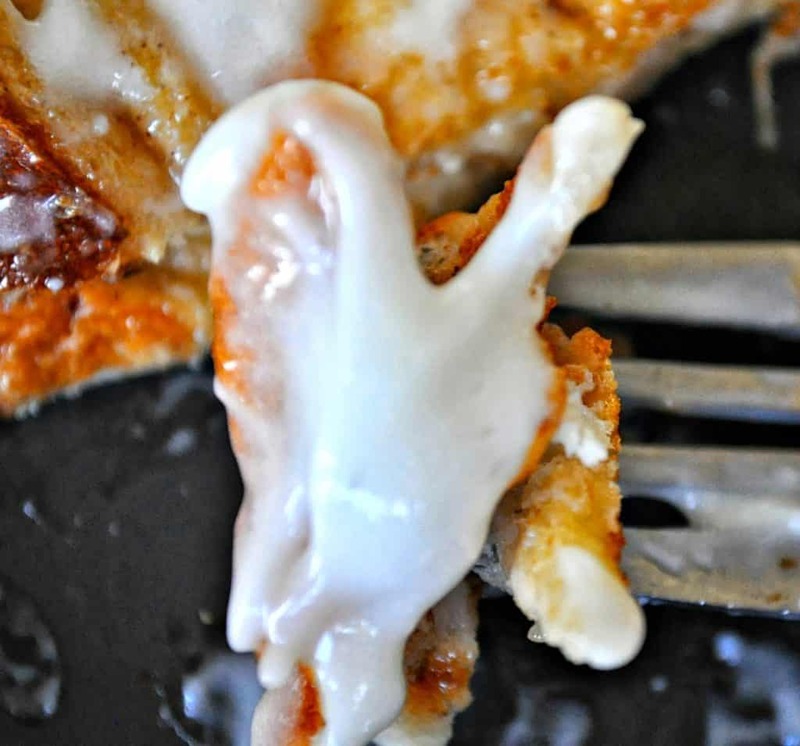 Now enter vanilla extract, cinnamon and leftover cream cheese frosting and let them become Cinnabon French Toast. BOOM. 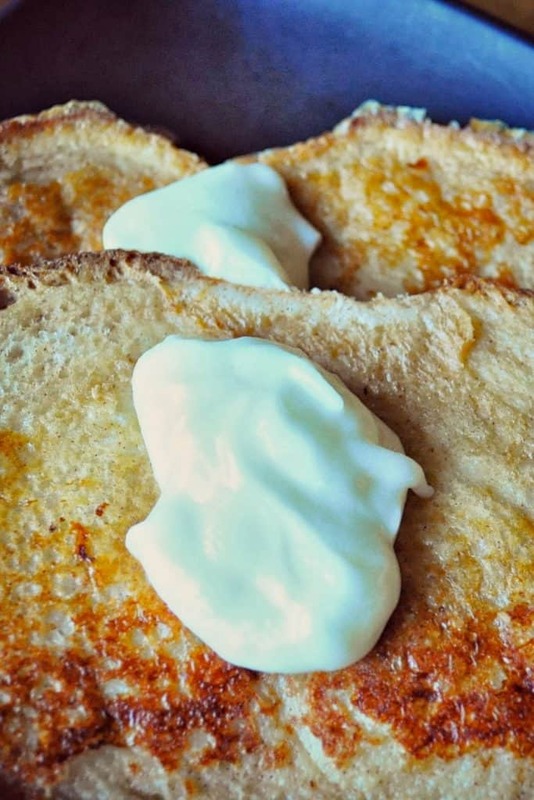 dry your bread if you have time it makes better french toast-low oven for 15 minute helps! Enjoy, oh and if making for a hoard of boys then you will need to scale up the recipe by about 6 times. Sounds delicious. I had to chuckle at the mass food quantities that the sleepover boys consumed (I miss those days).